Should my son play video games with strangers online? | Digital Dilemmas | Kids VT - small people, big ideas! Should my son play video games with strangers online? 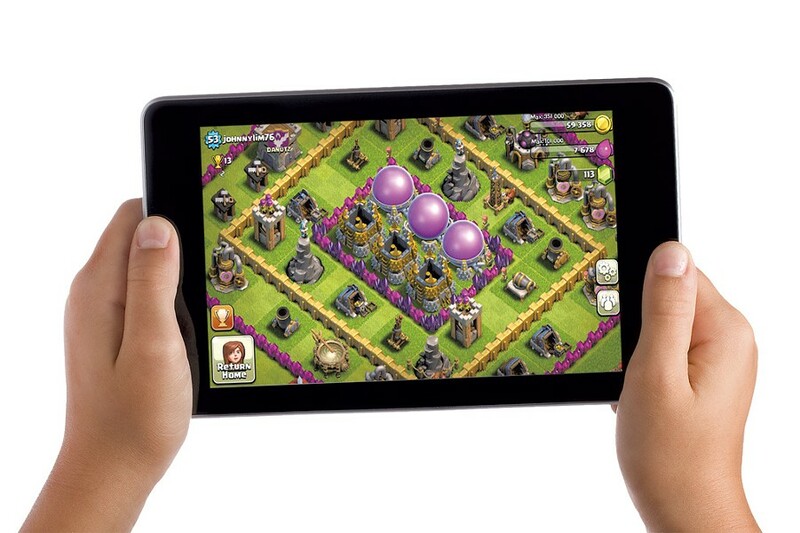 Q: My 8-year-old son plays Clash of Clans, a multiplayer roleplaying game, on our family iPad. His friend recently invited him to join a clan. That means he would be on a team and able to trade messages with his friend and some unknown players. My son swears he won't communicate with strangers online, but the fact that he could makes me nervous. Should I let him join his friend's clan so they can destroy villages together? A: Clash of Clans is a popular mobile game with really fun elements, such as building villages, training troops and battling with others. While you can play this game as a single player, the big draw is to band together with other clans and battle for dominance. Not only is this strategy game fun, it can really get players thinking. However, as with any multiplayer game open to the world, players — and their parents — should watch out for a few things. First of all, age recommendations. According to developer Supercell, this game was designed for players ages 13 and up. Common Sense Media also recommends age 13. Second, Clash of Clans makes money by getting players to buy gems and other power-ups that increase their status and speed things up. As a parent, you should carefully monitor the game settings, and even disable in-game purchases, if you want to avoid unwanted charges (anywhere from 99 cents to $99). Finally, the chat feature is largely self-regulated by gamers, many of whom are adults. If you allow your child to chat, he or she will be exposed to conversations that range from supportive and fun to angry and bullying. An 8-year-old is far too young to be playing any game with complete strangers from all over the world. I recommend that you sit down and play the game with your son. If he wants to be part of a clan, ask him to work with his friends to create one that consists exclusively of people they know in real life (that could include their parents). You may want to call your son's friend's parents and talk with them about the clan. Then, monitor his playtime and interactions on the app. This can be as simple as having regular conversations about the game and his strategy. Playing together also creates great bonding time! Elaine Young is the author of Tuned-In Family: How to Cope, Communicate & Connect in a Digital World, and is a professor at Champlain College, where she specializes in digital marketing and social media. Got a question about navigating the digital world with your family? Send it to ideas@kidsvt.com.